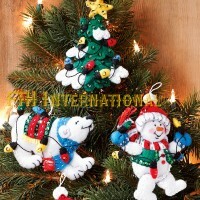 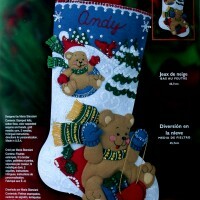 Christmas Poinsettia 18" Bucilla Felt Stocking Kit #86705 - FTH International Sales Ltd. 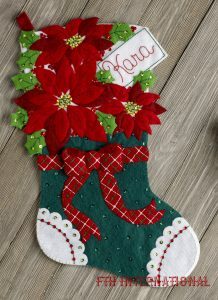 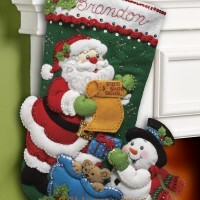 This stocking appears to be crammed full and overflowing with Poinsettia flowers but the flowers are actually a design on the outside of the top of the real stocking. There will be lots of room behind the Poinsettias to fill this 18″ stocking with lots of gifts and treats when it is all put together.